Alison Krauss and Union Station seem to be everywhere right now. The band's album Paper Airplane just took home two Grammy® awards - Best Bluegrass Album for the band and Best Engineered Album, Non-Classica for the engineers on the album. This gives the bluegrass music star 27 gramophone trophies -- the highest ever for any female artist. The band is now gearing up for an important performance for the Country Music Hall of Fame, a 2012 tour and has even recorded a 500th episode piece for The Simpsons. 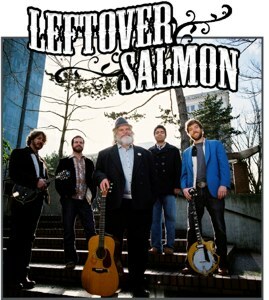 That wonderful action filled group, Leftover Salmon is announcing another tour! If you haven't heard yet, the group is preparing and getting ready to get back on on the road for their 2012 tour.